Koh Thmei Island is a part of Ream National Park, which is one of attractive tourist destinations of Cambodia due to its 150 different kinds of birds. 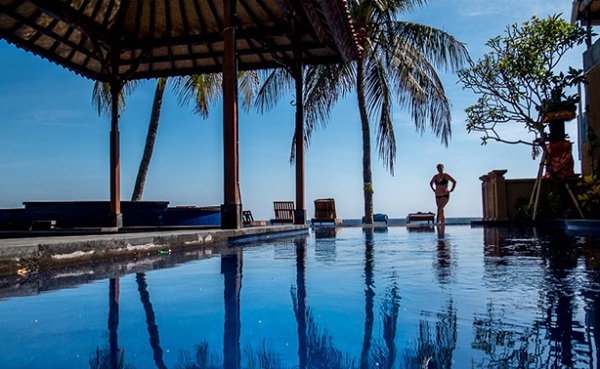 Visiting the island, tourists should not miss chance to stay Koh Thmei Resort – the only resort on the island and one of the best Cambodia beach resorts. Koh Thmei Resort is a real gem on the island with super-simple bungalows, which use solar-panels and biofuel for electricity. The resort sits on a great beach, and you can easily walk along the beach, and go sea-kayaking or snorkeling. Moreover, from basic wooden bungalows, you can enjoy the panoramic sea views aside from the visiting birds. Koh Thmei Resort brings you a quiet atmosphere to enjoy your trip with your family. Palm Beach Bungalow Resort consists of 13 fully furnished bungalows all offering big double beds, private bathroom with shower wash hand basin etc. 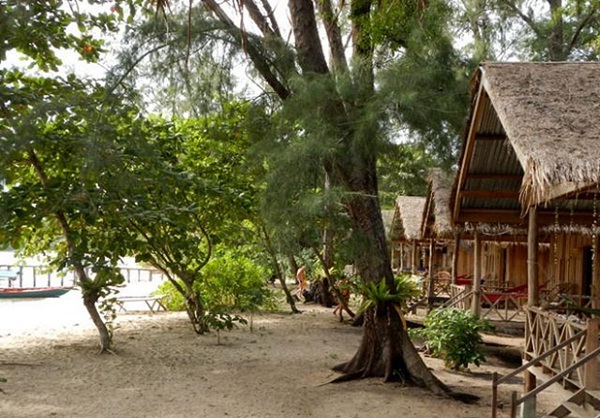 Especially, from these bungalows, you can enjoy both spectacular sea and jungle views. The resort also offers many interesting activities such as: kayaking, snorkeling, swimming, fishing, hiring the small boat for island tours, sunset drinks on board the ferry boat, hiking and a variety of land games. Koh Kong Resort is located along the picturesque beachfront of Koh Kong and one of the supreme beach resorts in Cambodia. The resort offers Cambodian fine services, modern amenities, and the wide range of superior accommodations. 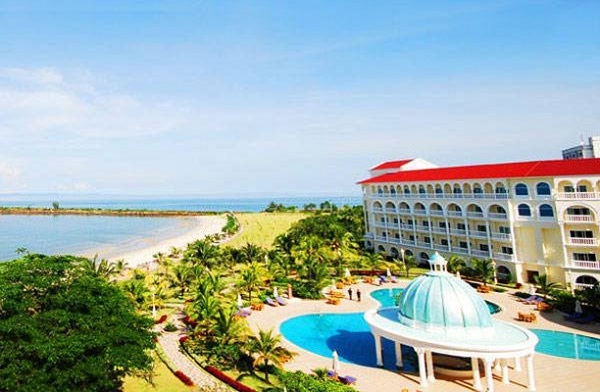 It also provides many leisure activities at its Casino, slot game machines, live gaming, business complex center, and the wide stretch of beach. The best thing about Koh Kong Resort is overlooking the spectacular view of the peace and tranquil fresh sea. Not far from the beach, the Cambodia beach resorts offer the panoramic sea views and the spectacular view of sunset and sunrise. These beach resorts also provide fine services and modern amenities for you to have a complete trip to Cambodian beaches.